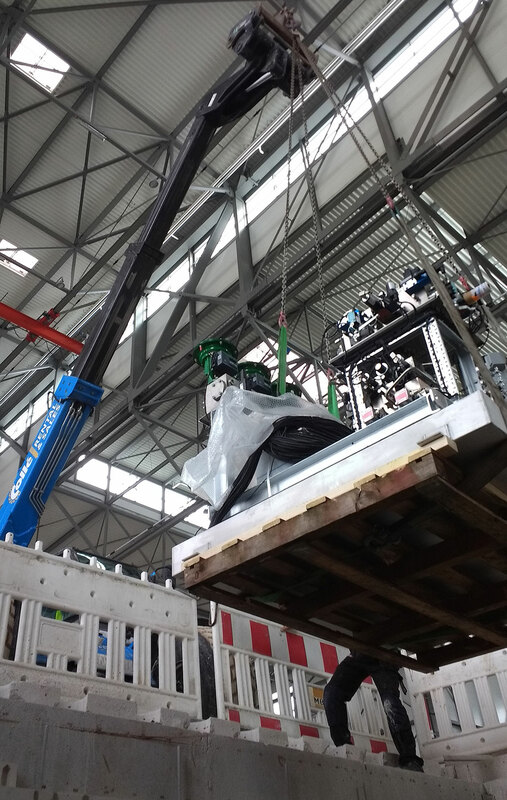 With fixed hangar housed hydraulic systems it is not always possible to place the hydraulic pump unit and accessories in a basement. 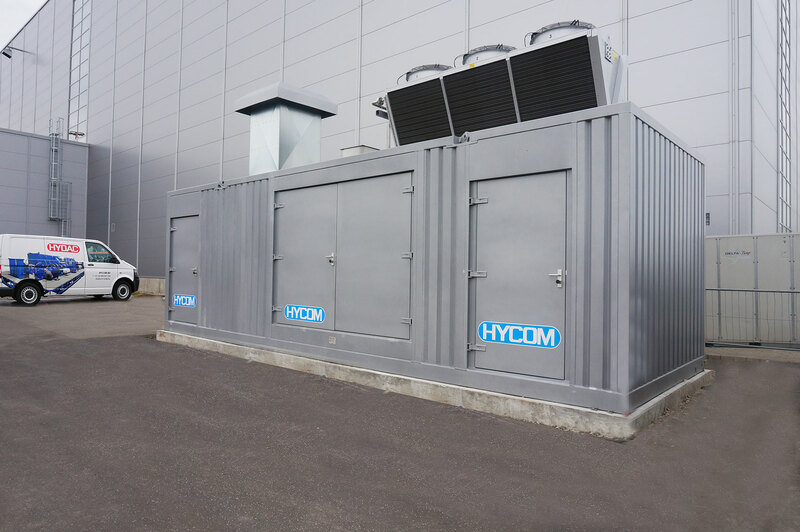 For these situations, Hycom has developed a “stand alone” unit based on a container. 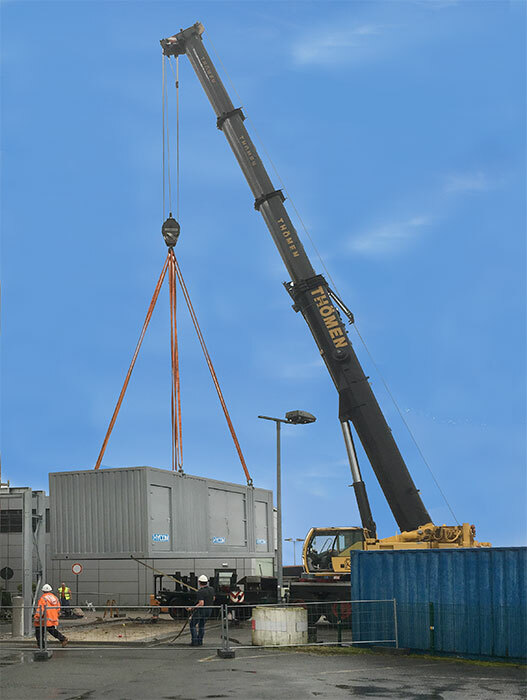 The container has a length of 11 meters and is 3,20 meters wide and high. These measurements are based on a maximum pump capacity of 600 litres per minute at 275 bar. This system is modular, so expansion can be easily realized. 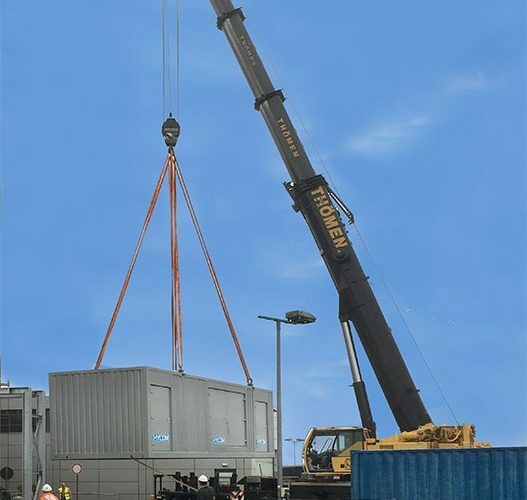 The container is also equipped with a HYDAC HIB-cooling system. The system is completely self-sufficient so it can be transferred to other locations too. In terms of connections; all you need is 1 cable for the 400V-50Hz power supply. 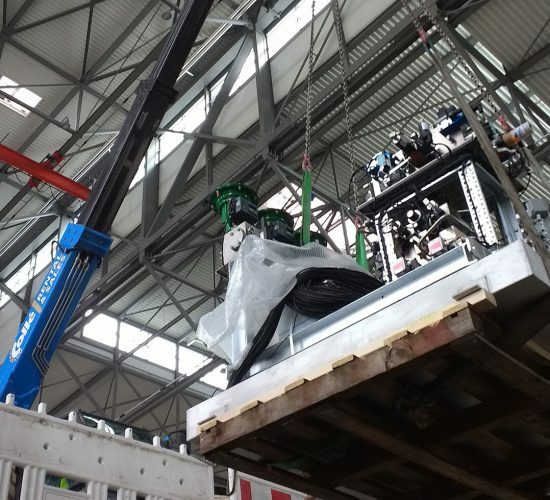 In 2017 Hycom has commissioned one system for an aircraft assembly line in Germany. 2 more to follow in 2018. 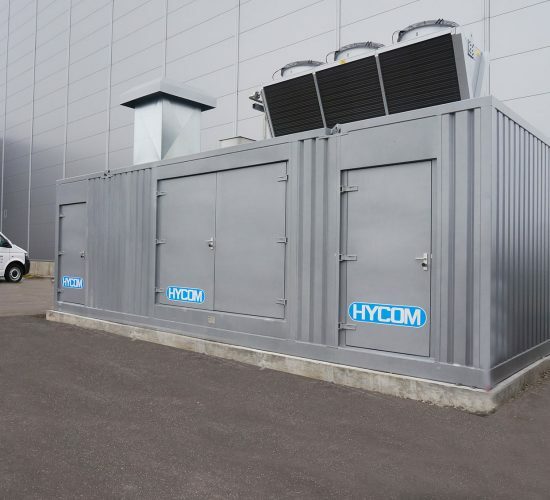 The containerized HYCOM HPU communicates with control stations that are based at the aircraft assembly stations. The stations can work in full automatic mode: filling, draining, flushing, internal leakage test, RAT test and all other aircraft hydraulic checks.